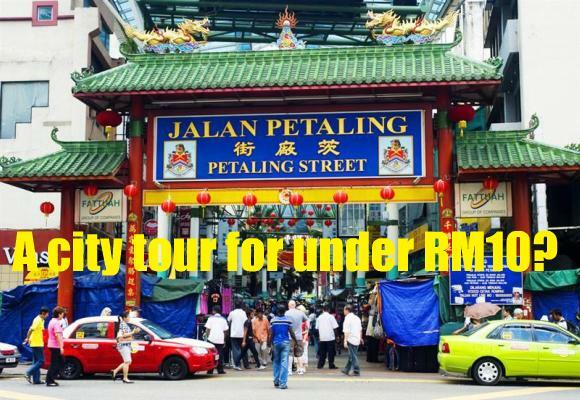 Is it possible to spend a day sightseeing in downtown Kuala Lumpur on only RM10, inclusive of lunch? I set myself this challenge and chose the second day of Hari Raya to find out. With most KL folks either back in their hometown celebrating the festive occasion, or away on vacation, I could avoid all the traffic congestion and pollution. Unfortunately the day started out with an overcast sky. Not great for photography, but being an eternal optimist, I silently prayed for blue skies and bright sunshine later in the afternoon. Alas, it was not to be, as you can see from the photos. Here's my inner city tour in pictures. Got off the bus here at Jalan Munshi Abdullah (Campbell Road). An improvement in the bus shelters. From here I explored the Masjid India back lanes on foot. Only four days ago when I was passing through, the entire area was packed with last minute Raya shoppers. Jalan Tunku Abdul Rahman or Batu Road where Globe Silk Store still stands. All quiet and deserted. A people-friendly street with broad sidewalks and benches. I love bridges for many reasons. Here's the first one at Maju Junction where Jalan Tunku Abdul Rahman (Batu Road) meets Jalan Sultan Ismail (Treacher Road). Turn left on the bridge and you are connected to Jalan Raja Laut (Broadrick Road) further up. Turn right and you go towards Jalan Ampang. I decided to take this direction. It was a long walk to the monorail station at the end of the bridge. A scary thought flashed through my mind. 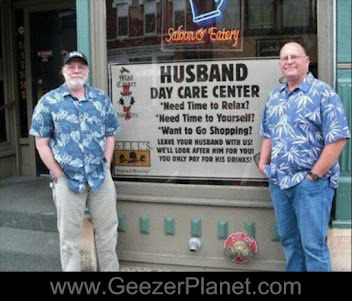 What if I encountered a couple of guys here out to cause trouble? I got off the bridge and walked towards Jalan Ampang. Many of the city streets have covered walkways like this one. Several massive construction projects along the way. A building boom? Took the shuttle bus near Concorde Hotel. It goes to Bukit Bintang. These shuttle buses are a blessing to city commuters. 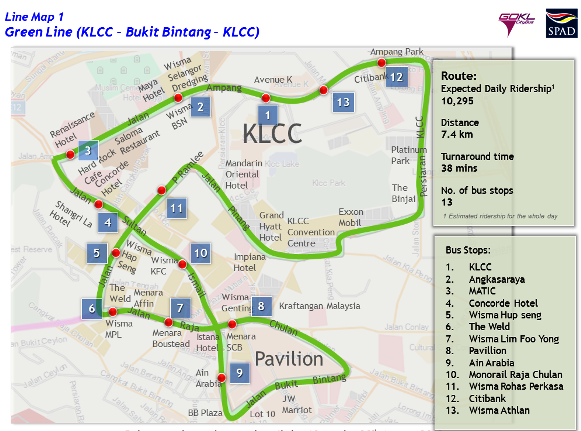 Check the maps below and try out Go-KL. It's FREE! These escalators are great for tired feet. But how would those in wheelchairs get up these steps? Clean and bright, as all bridges should be. This leads to Pavilion, Malaysia's award-winning mall. The streets may be deserted but the malls and food courts were swarming with thousands of shoppers, especially families enjoying the holiday with their children in tow. Here's where I had my lunch, a very expensive one, to my dismay. The details later. Overcast sky. 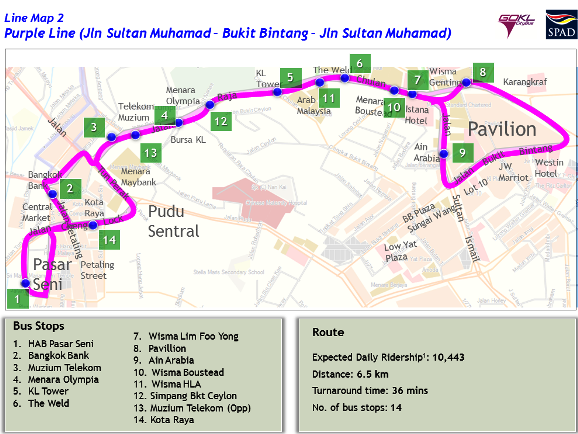 From Pavilion, I took the shuttle bus down to Kota Raya (Chinatown area). This place has been transformed with new buildings and bridges. But the chaos remains. This is the terminal for several stage buses. UTC probably stands for Urban Transformation Centre (Pusat Transformasi Bandar) I was stopped from taking photographs as I stood outside the building. Wonder why? Of course, I didn't bother to enter. This bridge across Jalan Tun Tan Cheng Lock (Foch Avenue) gets my vote for the filthiest overhead bridge in the city, no thanks to the foreign blue collar workers who have made this downtown area their shopping haven. For more pictures, go to 'Foreign invasion of downtown KL'. The bridge reeks of urine and is littered with used bottles, cans and old newspapers. On normal days, beggars line the sides. This man probably spent the night here sleeping on pieces of cardboard. Beggars and vagabonds are a familiar sight in Kota Raya (Chinatown) and Pasar Seni (Central Market) areas. Take care of your valuables, and be on the alert for pickpockets. Chinatown is fast losing its cultural identity. The stalls here are almost entirely run by Bangladeshis, Nepalese and Myanmarese. Jalan Tun HS Lee used to be known as High Street during the colonial days. The Klang bus terminal of the old days is gone. The new terminal is nearing completion. Work is in progress on the MRT station nearby. Long line of mostly foreign workers waiting to board the bus. No, I'm not planning to take the train - just to show you more bridges and take more photos of the area along the Klang River. By the way, this is the only station where you can apply for your senior citizen (warga emas) travel card. You get to enjoy 50% off fares on RapidKL buses, monorail and trains on the Ampang and Kelana Jaya lines. Not sure if it's applicable for KTM. The link bridge at Pasar Seni LRT station. At the far end, you can either turn right or left. Turn left, and you can walk all the way across the river to the old railway station along Jalan Sultan Hishamuddin. Anyone knows the old name of this street? Turn right and you go towards Dayabumi, Malaysia's first skyscraper (35 storeys) built in 1984, and Dataran Merdeka, the city's Independence Square. There's a covered walkway on the right, but it is yet to be open to the public. The bustling Pasar Seni area, teeming with people and traffic seven days a week. From Pasar Seni LRT station, I boarded the shuttle bus again back to the same bus-stop I had got off earlier along Jalan Raja Chulan. And it's up the bridge again. You can see a part of it in the photo above. This time I took the left turn to KL Convention Centre. Going straight would take me back again to Pavilion. I decided to skip Bukit Bintang as the sky looked threatening. This part of the bridge leading to KLCC is fully air-conditioned and well-lit. You can go to all these places listed on the signboard (starting from Wisma UOA on the signboard below). Finally, it's out to KLCC Park and the Dewan Philharmonic. Lots of people posing for photos. Problem for them - how to capture all 88 storeys of the Petronas Twin Towers with their tiny digital cameras or mobile phones?. Avenue K, opposite KLCC, is getting more than just a face-lift. Hopefully with big names like Starbucks, H&M and Popular coming in as tenants, Avenue K will see a reversal of fortune. From KLCC, I walked to Ampang Park LRT station, passing Wisma MCA on the way. Some positive changes at the station, including a new and improved bus-stop, a covered walkway and a small park nearby. Opposite is Ampang Park. Built in 1973, it is the oldest shopping complex in the country. At RM15 million, this is probably the most expensive link bridge in the city built by City Hall and the Intermark. It was opened in late March 2013. The bridge boasts up and down escalators and is equipped with bright lights as well as six CCTVs. Guards are on sentry duty from 7am to 10pm daily. Pedestrians feel safe using this bridge. As I was walking back to the bus-stop to catch the bus home, this tour bus passed by. For a RM45 ticket, you can get a tour of the city attractions, valid for 24 hours. An option for tourists who prefer to sit in comfort and be driven around the city. I reached home after an entire afternoon exploring the sights and sounds of Kuala Lumpur. How much did it cost me? Did I meet the challenge of spending not more than RM10? Well, yes and no. Let me explain. I made a huge mistake when I stopped for lunch at Food Republic, Pavilion. As I had a tight budget, I chose to eat simple - a plate of rice with some long beans and a small fish (see photo below). I estimated it would cost no more than RM8. When the cashier told me my plate of food cost RM17.50, I could only stare at her in disbelief. 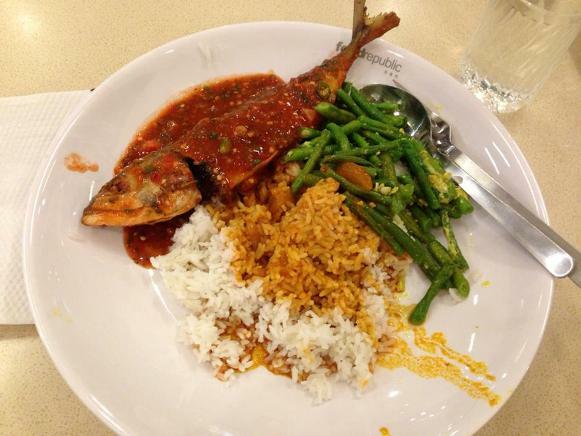 The breakdown: RM12 for the fish, RM3.50 for the beans and RM2.00 for the rice. What a rip-off! Would you pay RM17.50 for this? I did, but never again. Never again will I patronize this particular food outlet. Play it safe. Order food that has the price listed. 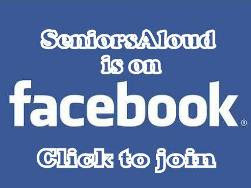 I have posted this photo on my FB page. If I consider the fare alone, I had spent well below my limit of RM10. So how much was my total bus fare? Brace yourself as you won't believe this - a paltry RM2.50. If I had not been so forgetful and had brought along my warga emas card, it would have cost me only RM1.40! And if I had eaten a RM7.90 bowl of laksa for lunch, or better still, had my lunch in Pasar Seni or Chinatown, I would have spent less than RM10 in all. 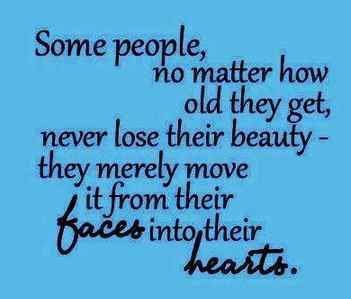 Lessons learned. Here some tips for those who would like to do a similar walkabout in the city. Bring a hat and an umbrella. Blue skies can change to thunderstorms within minutes. Wear comfortable walking shoes or sandals. Make sure you have a large bottle of water. The weight will offload as you drink along the way. Stay hydrated. Carry minimal stuff, only essentials and pack everything either in a backpack or a sling bag (across the shoulder). This keeps your hands free to take photos, and your belongings more secure. Just remember to swing your bag to the front when in crowded places. Take your toilet breaks at the shopping malls and LRT stations along the way. Shun other public toilets like the plague. Be on the alert for pickpockets, especially in downtown Kota Raya-Chinatown area. So there you have it. It is possible to do a tour of the city on a shoestring. There are covered walkways, pedestrian crossings and link bridges that makes it safe and convenient to walk along the city streets. It also helps that shuttle buses provide free transport within the main city areas. All in all, my little trip covered KLCC, Ampang Park, Pavilion, Chinatown, Kota Raya, Pasar Seni and Masjid India. 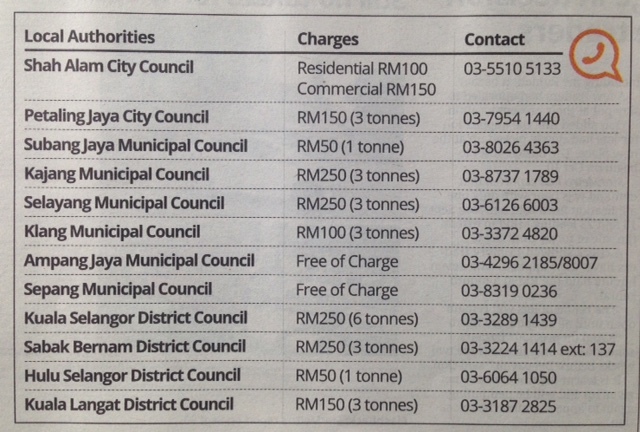 If I had wanted, I could have included Bukit Bintang (Sungei Wang, Lot 10) and Dataran Merdeka at no extra cost. Love this post vey much written so comprehensively with so much goodies in store in KL for those senior citizen to explore. About that RM17+ lunch a real rip-off. Very obvious they are quite desperate to squeeze every single sen out of the customers to pay for the high rental or what? Glad you enjoyed reading the post. Try out the walkabout some time.